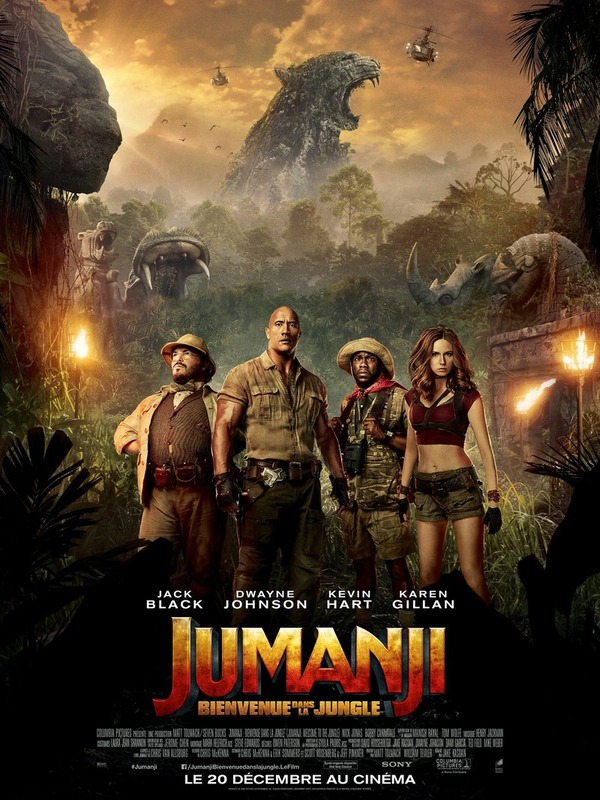 Jumanji: Welcome to the Jungle DVD and Blu-ray release date was set for March 20, 2018 and available on Digital HD from Amazon Video and iTunes on March 6, 2018. While cleaning their high school's basement during detention, four teens discover a video game version of Jumanji. After picking adult avatars, they're sucked into a jungle and physically transformed: Gangly Spencer become becomes the strong, handsome archaeologist and explorer leader Dr. Smolder Bravestone. Spoiled beauty Bethany becomes overweight male cartographer and cryptographer Professor Shelly Oberon. A star athlete, Fridge, transforms into a shorter, less athletic weapons specialist and zoologist named Franklin "Moose" Finbar. Lastly, unpopular Martha turns into a beautiful, strong commando named Ruby Roundhouse. To escape the game, they must learn to think differently about themselves and one another.